Going to use this in a tutorial-like game on my blog. Amazing work! Might Use this in a game im making just to learn game dev. They look awesome! Hello! I split the orange set apart and absorbed them into part2art.com. There *should* be metadata stored in the database that saved a link to your profile here, but I have not made it to the point of displaying that info yet. It is very beta. Thanks for good CC0 parts! 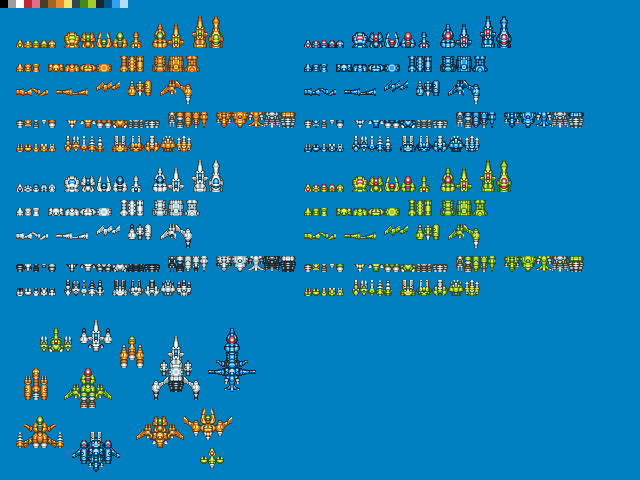 May use these concepts for ships in a Facebook game. 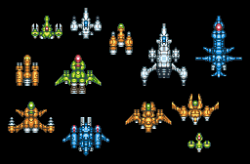 Love your little space ships.........Bit to lazy to do my own...........Thanks. Amazing sprites! I'll use it on a freeware game. Thanks for share!